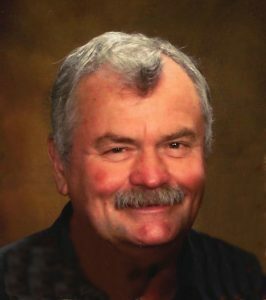 Dean Babel, 68, of Schuyler, died Tuesday, February 6, 2018, at the University of Nebraska Medical Center in Omaha. Mass of Christian Burial Saturday, February 10, 2018 10:30 A.M.
Dean was born December 11, 1949, in Cornlea, Nebraska to Elmer and Leona (Gross) Babel. After graduating from high school he entered the United States Army on February 12, 1970, serving in Vietnam until being Honorably Discharged on October 12, 1971, after being wounded in the war. On February 24, 1973, he married Barbara Prososki at St. Stanislaus Catholic Church in Duncan. They lived in Schuyler where Dean worked 25 years at the Cargill Plant and 16 years driving truck for Schuyler Coop. Dean loved the outdoors, fishing, hunting, camping and especially spending time with family and spoiling the grandkids. He was a member of the church and a Lifetime Member of the Schuyler VFW. Surviving Dean is his wife, Barb, of Schuyler, a daughter, Dawn (Ryan) Bartels of Bennington, son Jason Babel of Galba, Iowa, four grandchildren; Morgan Babel, Brady Babel, Brody Bartels, Analyn Bartels and three brothers, Jim (Jean) Babel of Columbus, Robert Babel of Omaha and Clark Babel of Columbus, and many nieces and nephews. He was preceded in death by his parents and one sister-in-law, Sandy Babel.